Large pink flowers crystals ring. 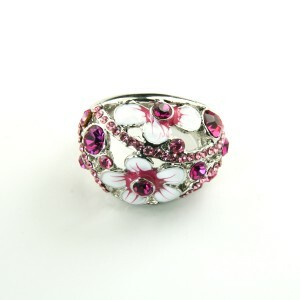 This large ring is made in very modern style with nicely crafted pink flowers. Materials: Pink crystals, white gold plated. Please choose your ring size above before adding your item to the shopping cart. If you are not certain in your ring size, please check our Green Charm Ring size guide.